A self-portrait taken by pop artist Andy Warhol will go on auction for the first time, with an estimate price of up to £7m. 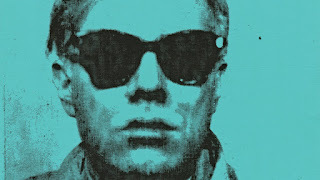 The photo is part of a sequence of snapshots Warhol took at a New York dime store photo-booth in 1963, when he was 35. The first of nine different works, the artwork will be auctioned at Sotheby's next week. It will be listed with an estimate price of £5m-£7m. More than a prophetic look into the future of selfies and art as an exploitation of individualism, the photo signals Warhol's move from being an artist to a pop icon. In the early 1960s, he had achieved fame for his portrayals of celebrities such as Marilyn Monroe, Jackie Kennedy and Elizabeth Taylor. By putting himself in front of the camera, he purposely joined the ranks of other self-portraying giants such as Rembrandt, Van Gogh and Picasso. "In the age of Instagram, Warhol's fabled prediction that 'in the future, everyone will be world-famous for 15 minutes' has never felt more prophetic," said James Sevier, contemporary art specialist at Sotheby's. "And the artist's first self-portraits have never felt more relevant to contemporary culture. "This is a work of immense art historical importance that marks the watershed moment when Warhol joined the canon of the greatest self-portraitists." Self-Portrait will go under the hammer as part of Sotheby's Contemporary Art Evening Auction in London on 28 June.